So, we have a new brand on the block. Well, new to my collection, but Laura Geller has popped up a lot recently and for good reason. I’ve been testing out a selection of their amazing makeup over the past two weeks and I can firmly say I’m hooked! Their packaging is very pretty and their range is concise but essential, making sure you have all elements of your look covered. The stand out pieces to me is definitely the Laura Geller Eye Calligraphy Trio. 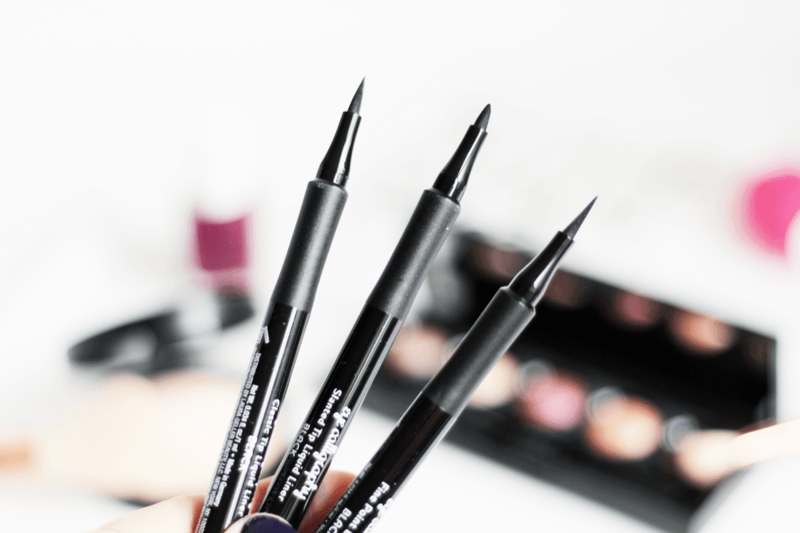 This set of felt tip style eyeliner pens ticks all of the boxes for pretty much every eye look you need. It has a fine point pen, a classic pen and a slanted pen. I’ve tested out all three and the classic is the one I use on a daily basis (using it today, actually), as it’s just the right size to sweep on and create the perfect cat eye flick in seconds. 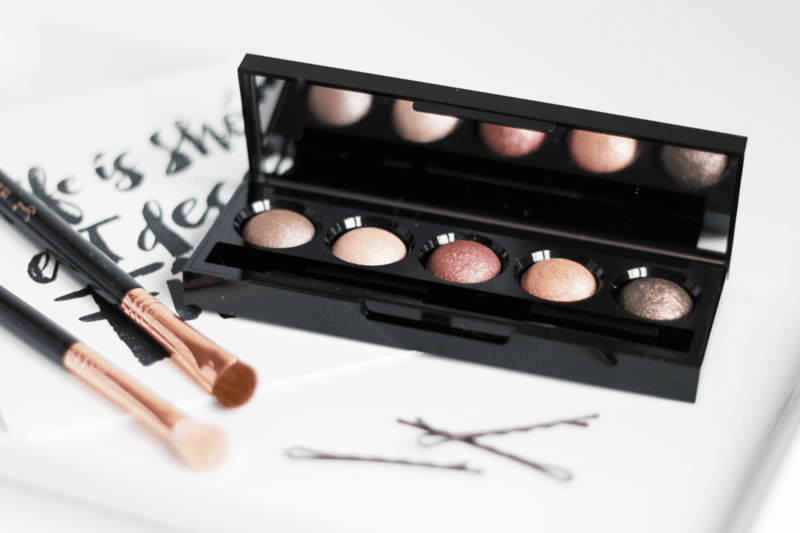 One for those who don’t overcomplicate their eye look is the Laura Geller The Wearables 5 Eyeshadow Palette is a beautiful option. With five every day shades, from pretty taupes to my favourite ultra luxe gold, you can sweep these over the lid or build up the colour for a more intense look. I love the baked and metallic effect of these shadows, plus the lasting power and how buttery soft they are is an added bonus. Finally, the Laura Geller Balance-n-Bright Baked Foundation is one that I’ve been using more as a finishing touch than my base. With swirls of pink and champagne, it helps brighten and correct your skintone, blurring imperfections and making skin look more radiant. You know that whole ‘lit from within’ thing? This is that in a compact. If you have skin that just needs a very light amount of coverage but to even everything out then this would be ideal, otherwise wearing it as your last step works perfectly if you can’t give up your full coverage foundations just yet. 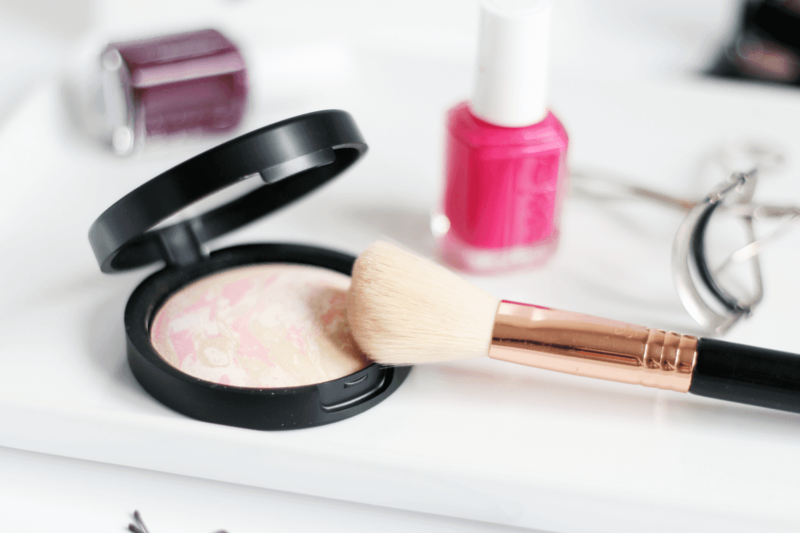 As a whole, I’m really impressed with the Laura Geller makeup collection (which is stocked on Cult Beauty) and am definitely keeping my eye out for other products in their range. Have you tried anything by Laura Geller? I’m up for ‘best longstanding fashion blog’ in the bloggers blog awards – go vote for me if you like my little blog! Also, check out my newly updated blog sale!